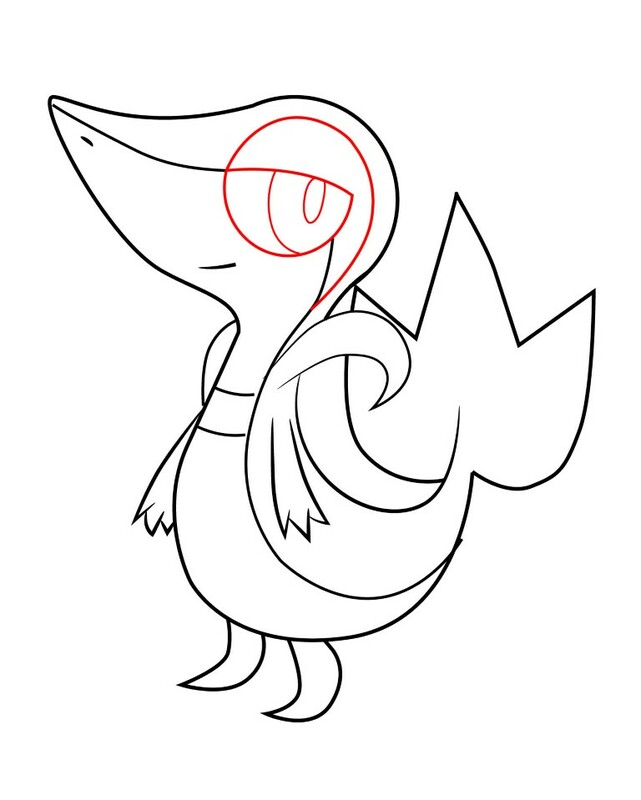 Today’s tutorial will be how to draw Snivy, Pokemon #495. 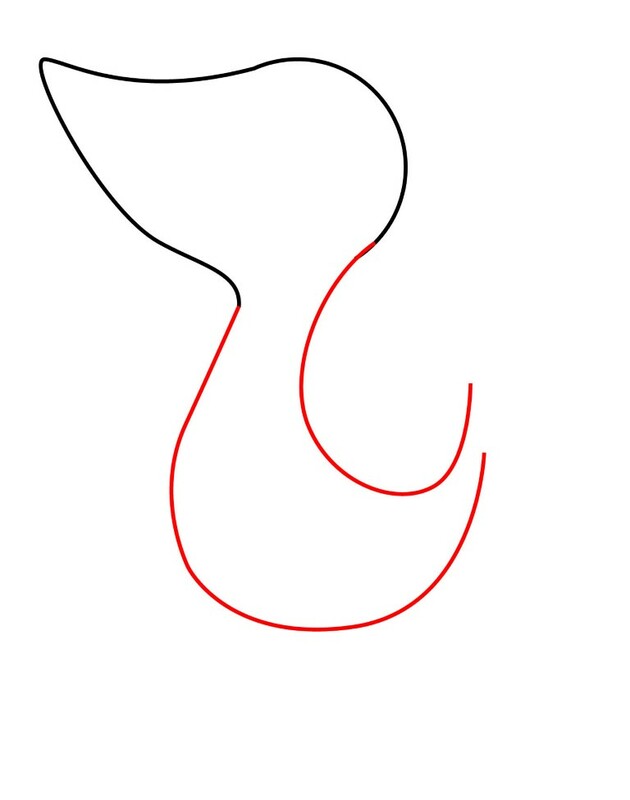 Most of you are familiar with the other Pokemon tutorials I’ve done, like how to draw Pikachu, or Charmander— the ones I grew up with. 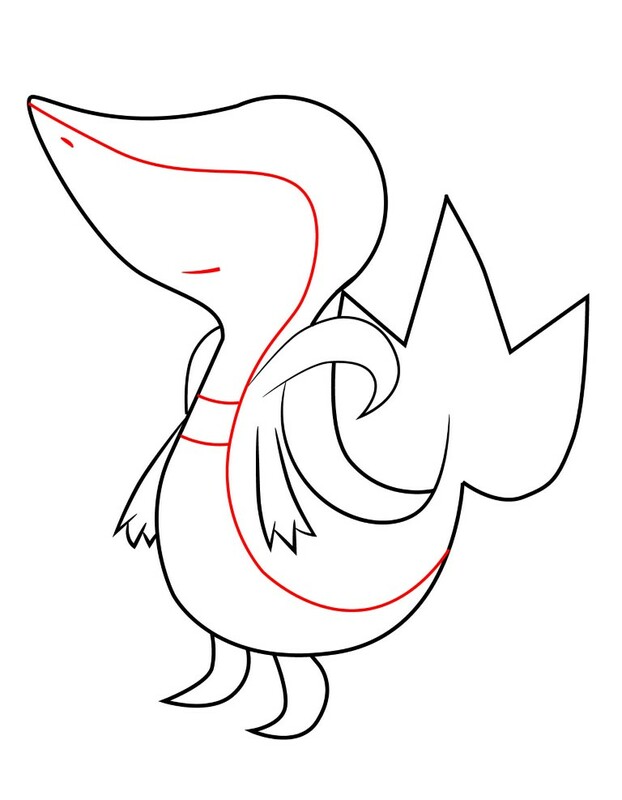 But Snivy is one of the newer additions to the collection, that has gotten several requests. 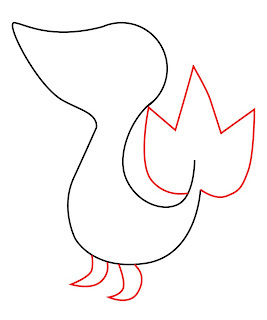 To get Snivy started, we’ll first need to draw a circle. 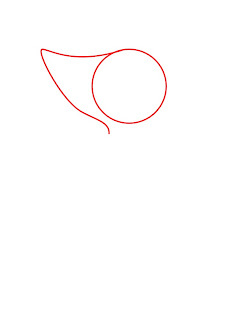 To the side of this circle, draw another triangular shape which will serve as his nose. 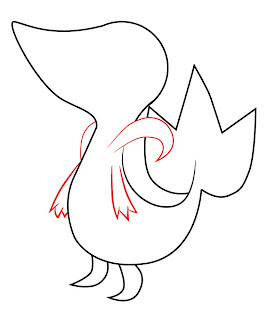 Next, extend Snivy’s body by drawing a large “L” shape that get narrower toward the end. Give Snivy a large three pointed design at the end of his tail, and draw two very small curves at the bottom of his body for his legs. 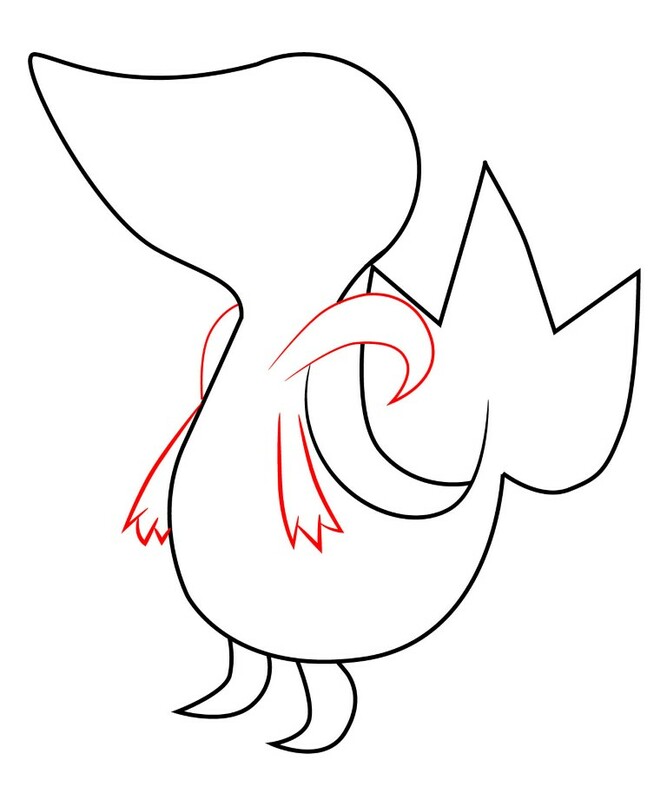 Next, draw two very simple arms ending in three pointed fingers on each side of Snivy’s body. 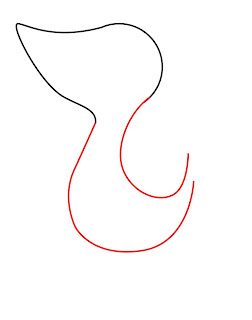 Also, draw a large curve on either side of Snivy’s neck to form a kind of collar. 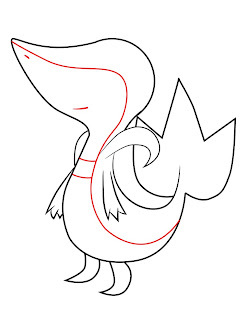 Now draw a line that runs down the center of Snivy’s body starting at the tip of his nose, and ending at his tail. 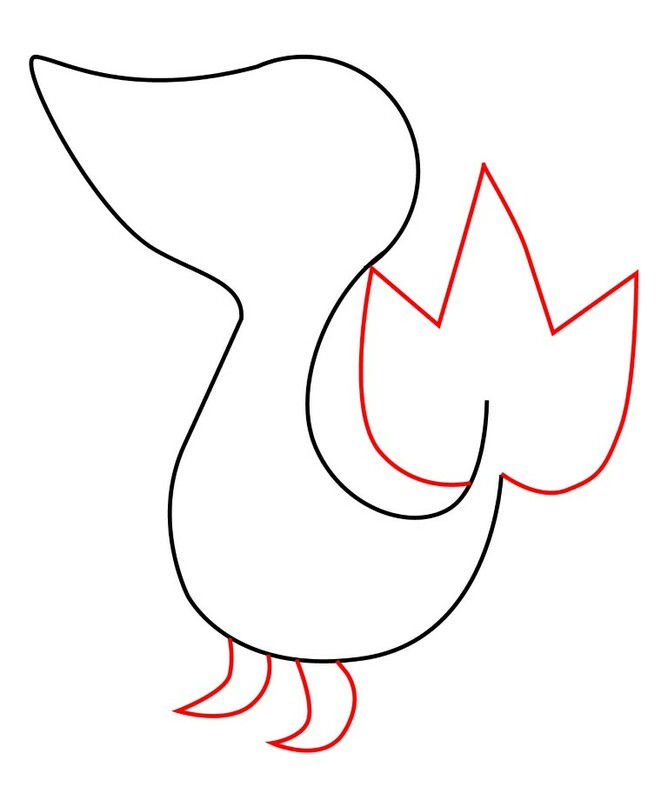 Draw two thin lines running across Snivy’s chest, and a small line for his mouth and nostril. 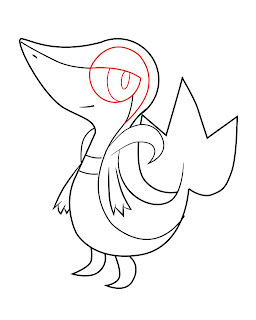 Finally, give Snivy a large circular eye that takes up the majority of the empty space of his head. 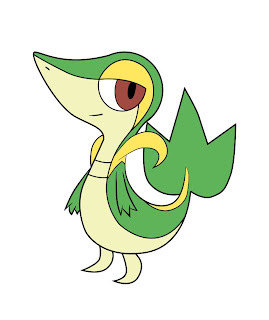 Color Snivy green and gold, and Pokemon #495 is done!